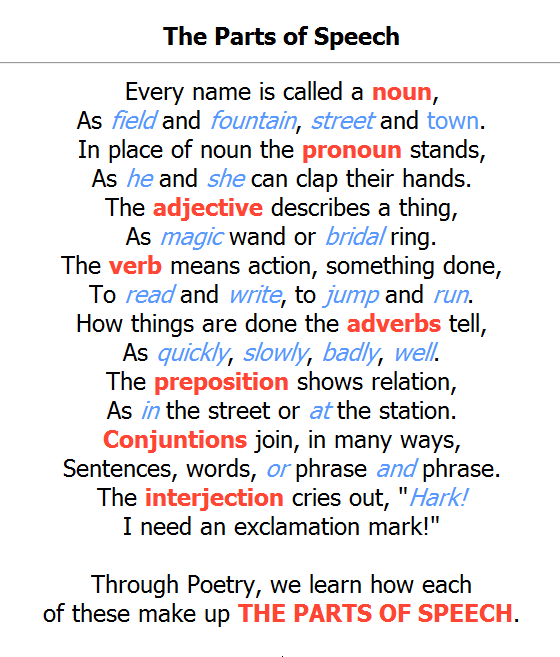 Here's an old children's rhyme about the parts of speech of English grammar. Read and remember it. hey what interesting!!! i cant stop singing it!!! ITS SO FUNNY!!! English learners! Parts of speech. "Tears are the sweat of the brain."